She's detailed her strengths and struggles with body image. 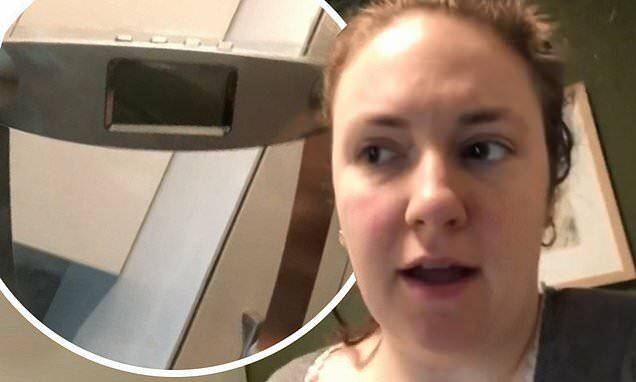 And Lena Dunham said a final goodbye to her scale in a 'long overdue Dear John' video posted to Instagram on Thursday. The 32-year-old writer admitted 'ya, this is a breakup' in the quick clip where she appeared to be makeup-free and wearing a grey T-shirt. Lena tied her short brunette hair back into a messy bun and wore a pair of silver hoop earrings in the video. She then ceremoniously opened her white waste bin and planted the glass scale in the trash bag. Japanese ‘Godzilla’ Studio Toho Set to Expand to the U.S. Japanese ‘Godzilla’ Studio Toho Set to Expand to the U.S.